Abrar Hussain: More lawmakers have quit the Australian parliament amid the escalating citizenship crisis, after the High Court’s ruling yesterday ordered an 11th lawmaker to leave.This has left the country facing by-elections after the court found that opposition Labor Party Senator Katy Gallagher was a British citizen at the time of her election and thus ineligible to be elected to the federal parliament. 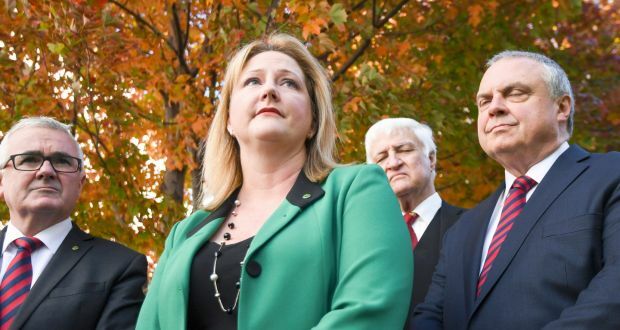 The decision led to four other lawmakers facing similar situations as Gallagher, triggering by-elections for their lower-house seats.Under Australia’s 117-year-old constitution, people with dual citizenship are blocked from national elected office.Gallagher and the other four are not members of Australia’s ruling centre-right coalition, keeping its slender majority safe, although how this will sway the public in the upcoming general election next year is yet to be seen.“By-elections are notoriously difficult things,” Nick Economou, a political scientist at Monash University in Melbourne, told Reuters.Lamb revealed that she intended to recontest her seat. Labor MPs Josh Wilson, Justine Keay and independent member Rebekha Sharkie, all of whom resigned yesterday also expressed their intention of doing the same in their separate electorates.Dates for the by-elections have not been set officially but is expected to be as early as mid-June.Gallagher, who said she was disappointed but accepted the court ruling, will be replaced by another Labor politician in the Senate.